St Ives is only one hour from where we live in Cornwall and although we visited a little over 5 years ago we haven’t been back since, so we thought it was about time we paid it another visit. I don’t think I can describe just how beautiful this Cornish coastal town is, it feels slightly magical and so laid back. The sea is an incredible colour and it looks more tropical than Cornish, St Ives is also home to some of the most beautiful golden sandy beaches I have ever seen. We spent the day walking all through the narrow cobbled back streets which are lined with traditional white fishermen’s cottages & I love it when they have pretty coloured front doors & window frames. The weather was bright and warm the day we went which meant we could took our time wandering the lanes and also sitting on the harbour wall watching people swimming and the fishermen landing their catch of the day. You are quite spoilt for choice for cafes & restaurants and if you just venture off the main streets a little you will find so many sweet places to stop for tea & cake. There is even a Vegan chocolate shop! 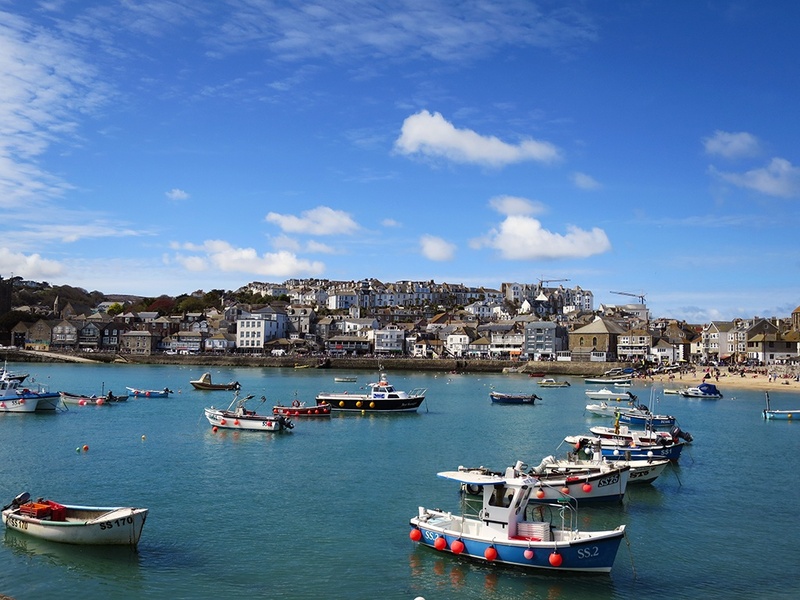 If you get the chance I highly recommend making the trip to St Ives, its friendly, beautiful and when the sun is out it feels like you’re in the South of France not England.